Recently there have been some encounters in the neighborhood where coyotes did not flee and engaged dogs in barking match in the river park. No one hurt but we would recommend that the neighbors consider keeping their pets on a leash or at least walking in groups. Here in an interesting article which states the coyote population is up 3000% in the last 15 years in metro Atlanta. Please closely supervise small children and small animals when in the river park. Residents in all parts of Atlanta have reported Coyote sightings in recent months. The problem is so significant that it became the topic of specially called town hall meetings in at least two communities in April and May. Vinings residents report that 50 cats have been lost to coyotes. Homeowners have hired a professional animal trapper to help alleviate the problem. He reportedly has captured more than 12 coyotes from the Vinings clan and 9 more near the Atlanta Country Club. In Stone Mountain, one community's network for notifying residents of safety issues has issued several warnings about coyotes and pets. The websites for several local businesses that offer coyote trapping, control, relocation and exclusion services in Georgia report that they have trapped coyotes in Roswell, Alpharetta, Marietta, Lithia Springs, and Buckhead. News of coyote sightings in Norcross spread quickly over the Internet and became enough of a concern to cause city officials to post a message on the city's website to ease residents' fears. Residents are warned to call 911 if they see a coyote and not to approach them or attempt to trap or kill them. Norcross officials plan to educate the people about coyotes in order to effectively manage the problem and reduce the threat to people and pets. Coyotes are resourceful and adaptable and will take advantage of whatever situation they encounter in order to survive. They have the ability to alter their feeding strategy and diet to whatever food type is most available. A suburban environment provides a variety of food sources: pet food, bird food, garbage, compost piles, unharvested fruits and vegetables, and road kill. People are not seen as a threat by coyotes as long as they don't make any aggressive moves. Attacks on humans are rare and most often occur when someone is trying to rescue their pet. However, coyotes are not afraid of people and there are several instances in which homeowners have seen them within a few yards of their back doors. There are numerous reasons for the proliferation of coyote sightings in metropolitan areas. As their natural habitat shrinks due to urban growth, they are forced to live closer to humans and to enter residential areas in search of food. 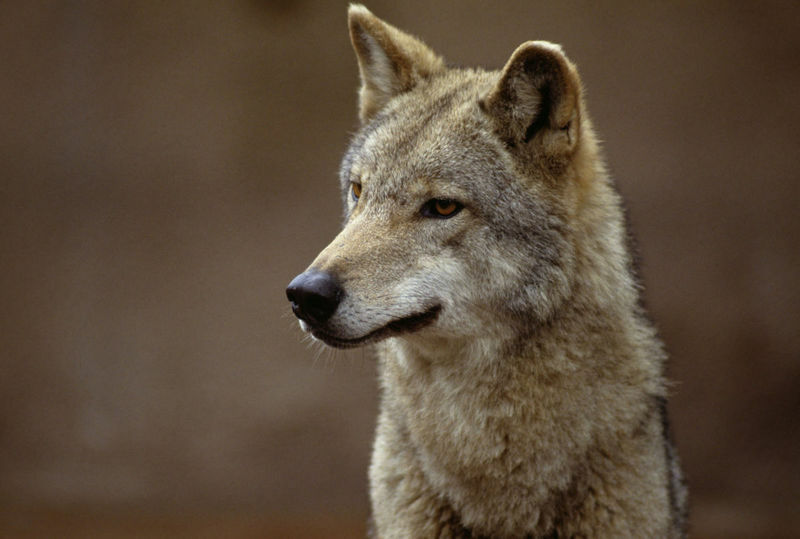 Coyotes used to be hunted by wolves. Since wolves are rarely seen now in the eastern United States, the coyote has taken over the wolf's habitat and now has no natural predator. Therefore, the coyote is at the top of its food chain. Coyotes are prolific reproducers with females giving birth to four to six pups a year. All of these factors together result in an ever increasing number of coyotes in metropolitan areas. Even though coyotes may be a nuisance to residents, they help maintain the balance of nature. They are a great method of natural rodent control and keep the rat, gopher, squirrel and rabbit population in check. Natural rodent control is much better than man made poisons and inhumane traps which frequently have the unintended result of harming pets and children. The Georgia Department of Natural Resources (DNR) receives hundreds of calls about coyotes in Metro Atlanta each month. That number will likely only increase because the coyotes are here to stay. According to the City of Norcross website, there has been a 3000% increase in the coyote population in Metro Atlanta in the past 15 years. Any efforts to eradicate them from our area will not likely be successful. The biggest concern is the danger to pets and small children. The reason so many pets fall victim to the coyotes is that they are easy prey and the coyotes' other food sources have been disappearing. By working together with wild life experts and government officials, residents should be able to mitigate the danger to pets and humans. Despite the increase in coyotes in urban areas, humans can learn to coexist peacefully with this species. According to the Wildlife Resources Division of the DNR, homeowners have little reason to fear coyotes. By nature they are a timid breed who prefer to avoid human contact and any potential confrontation. Additionally, coyotes do not normally travel in packs and are primarily solitary hunters. Setting traps is not a viable solution. Poisoning is completely wrong and a danger to other animals and to people. Attempting to solve the problem by killing coyotes will disrupt their population structure and lead to increased breeding and larger litters as well as disturb the entire eco-system of the area. Residents need to become educated about the habits of the coyotes, how to avoid them, and what to do if they see one in their neighborhood. * Do not feed any type of wildlife on your property; feeding encourages them to become dependent on humans. * Eliminate outside sources of water. * Place bird feeders so that coyotes can't get the feed. They may be attracted by the seed as well as the birds and rodents that come to the feeders. * Make sure edible garbage is in secure garbage containers; eliminate garbage odors if possible. * Feed pets indoors if possible; if feeding outdoors, remove any leftovers; don't store pet food where it is accessible to wildlife. * Keep shrubbery trimmed to ground level so that it doesn't provide hiding cover for coyotes. * Supervise small children when outside especially if coyotes have been sighted in the area. * Keep pets safely confined and provide secure nighttime housing for them. Walk your dog on a leash. Always accompany your pet outside, especially at night. * If you see coyotes around your home or property, chase them away by shouting or making loud noises.